The Lakes of Bliss Woods is located in Sugar Grove, Illinois, approximately 45 miles southwest of Chicago in southern Kane County. 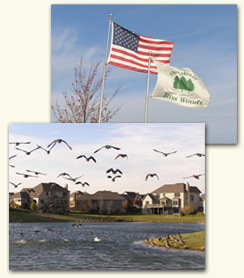 This subdivision is comprised of 165 single-family homes including 2 parks and 3 ponds. It is governed by a board of directors elected by the residents. 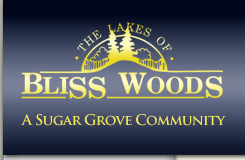 In this website you will find information important for the residents of the Lakes of Bliss Woods. Besides including a copy of the Declaration of Protective Covenants, it includes the forms that need approval by the board of directors before any architectural changes can be made, excluding forms and permits needed by the Village of Sugar Grove.